My overall feelings on working with a group is that its easy once everyone does their work and communicates continuously. One of our members did communicate very well and even set up platforms for us to talk on but the work they produced wasn't up to a standard we needed for our presentation. After having a look over Sitearm's team operations notes I can see where our group failed in some areas and worked well in others. At the start of this class we discussed some of the readings set from the week before, one of which was a famous tweet that ended up causing the woman to loose her job. This led onto the discussion about how difficult it is to get across 'tone' via text and how it can incredibly difficult for others to read sarcasm. Many argued that it was either a bad joke or that the medium used to tell it really let it down. Emoji's can help with this but I feel like they come with a stigma sometimes, or they are seen as unprofessional so using one can be risky depending on again what tone you want to get across, whether it be professional or casual. Today I had a quick meeting with my group, we had to decide on a way of presenting our group information for the brief. I put forth the idea of doing a Pecha kucha type presentation. Its a style of presenting where the are 20 slides that last for 20 seconds, making it quick and easy. This style also uses pictures and visuals with just small headings or words, text is minimal or not included. Everyone agreed that this would be perfect and that they hadn't done it before. 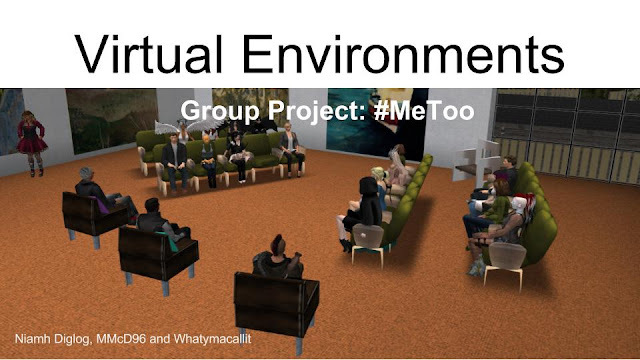 I also offered to make the slideshow, it should be easy enough they only thing is I will have to ask how images are brought into second life, im not sure how i physically get our slideshow to be visible in it. So until I learn that i will just be gathering the images that the team is sending me via email (small notes beside each so I know where to put them) and organizing them into a nice easy to digest visual that follows the points set out in the brief. This week in class we talked about our information online and how companies are paying to get your details or hiding hidden contracts within terms and conditions. Such as when a ad for cameras pops up on YouTube and you had only been looking at them earlier in the week. Its a very scary thought in my opinion, to know that you have very little security online, we are made to think we are in control when the reality is we have very little. The only thing we control over is what we share but many have already signed away so much to many websites, especially Facebook and since you can never delete a Facebook account (only deactivate it) your every post and photo is permanently stored away. Its a thought I prefer not to think about or dwell on, even though it is terrifying its one of those things that cant be helped, if someone really wants your info they will get it whether its by hacking or stalking. 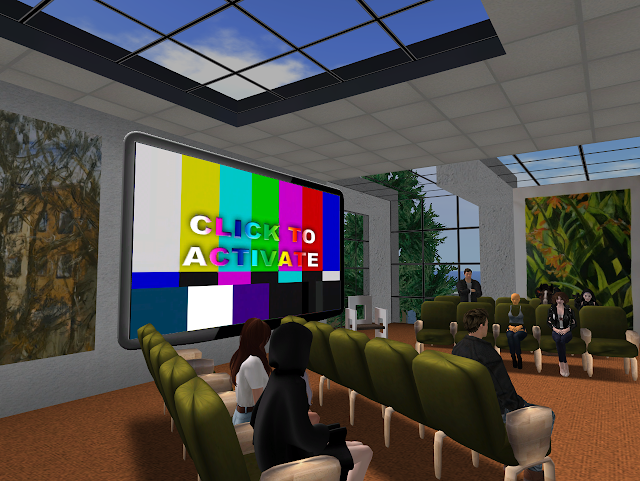 My name is Niamh, I am doing a module about second life and will be exploring it each week so stay tuned.